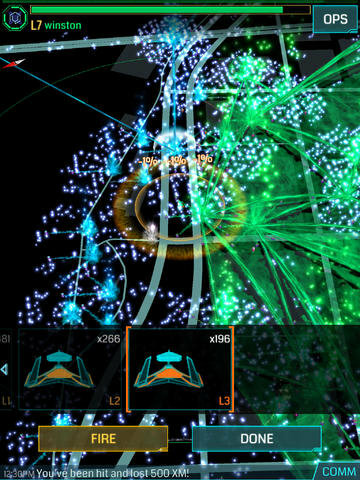 Google has just launched an iOS version of their formerly Android-only geo-centric portal capturing game, Ingress. Released late last year on Android platforms, Ingress uses geo-location technology in mobile devices to transform the world into a virtual game. Real world locations — including historical sites, landmarks, parks and artwork — become “Portals” for Agents to capture and control, encouraging players to get off the couch and embark on adventures on foot. Siding with either the Enlightened or the Resistance factions, both iOS and Android players can now engage in the struggle for the fate of humanity while exploring and discovering the world around them with their friends. During Ingress live events coordinated by Niantic Labs in 2014, more than 12,300 Agents have gathered in 65 cities across the globe – from Santa Fe, New Mexico to Amsterdam, Netherlands; Auckland, New Zealand to Ishinomaki, Japan. Agents around the world in 2014 have made more than 22,400,000 in-game actions (hacking) while visiting “Portals” disguised as real-world art, architecture and landmarks. 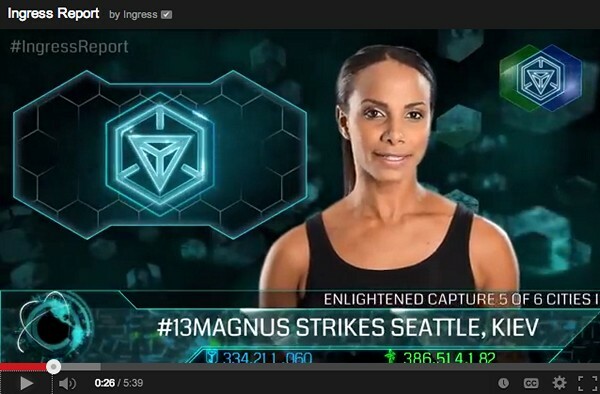 There is a weekly online news show called the Ingress Report, which players can watch to follow the events of the game and there is also an Ingress Beginner’s Guide video which new players can watch to get started with the adventure. It sounds like an interesting concept, and the trailer below makes it look much more compelling than the screenshots would imply (which resemble a game of Geometry Wars). I’ve downloaded the app and will be checking it out. Here’s hoping that my Suburban existence doesn’t mean lack of local content like most geo-location based apps.